Welcome to the website of the Laboratory of Molecular Microbiology at Jacobs University Bremen. On this website you will find useful information about our research work and the members of our group. The Molecular Microbiology Laboratory is headed by Matthias Ullrich, Professor of Microbiology. 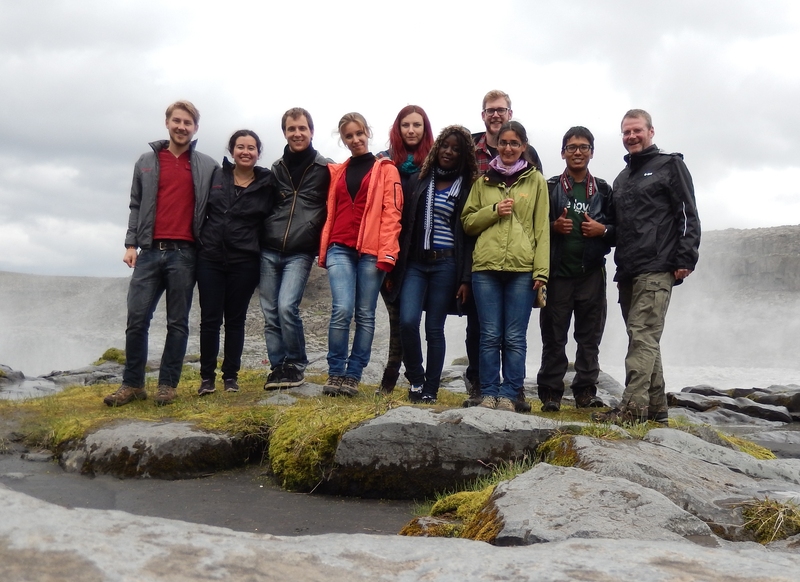 The group consists of several postdoctoral fellows as well as PhD and MSc graduate students. We are studying molecular interactions of heterotrophic bacteria with photosynthetic eukaryotic host organisms. Those host organisms are either terrestrial plants or marine diatoms. In the focus of our research are topics such as bacterial gene expression, exopolymer synthesis, protein secretion, multidrug efflux systems, bacteria-diatom interactions, bio-active compounds of Rhododendron, cocoa metabolomics, and biofilm formation. 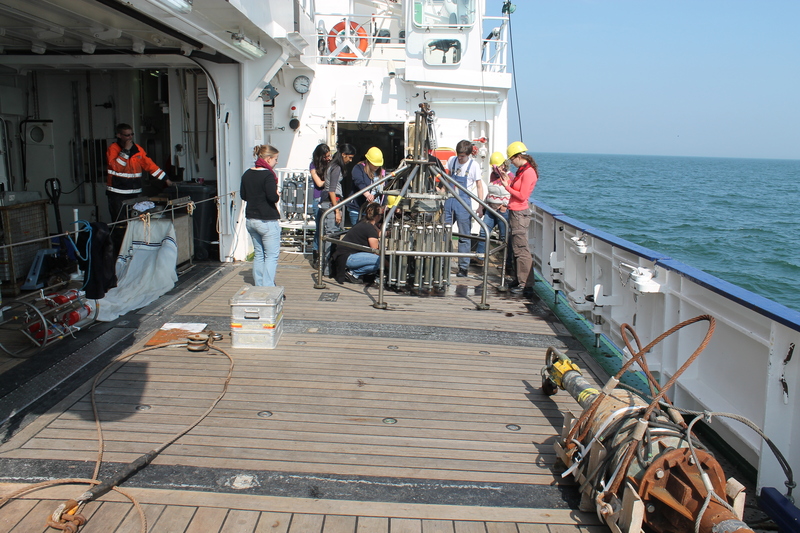 Additionally, we work on current problems of marine environmental pollution and explorations. Lots of scientific and academic activities have happened in 2017 and 2018. They were so manifold that we did not have time to report on them piece-by-piece. If you wish to learn more about our activities, please visit our PUBLICATIONS sub-page, which is kept up-to-date on a weekly basis – Thank you for visiting our website. For Data Protection Policy, please scroll down this site. 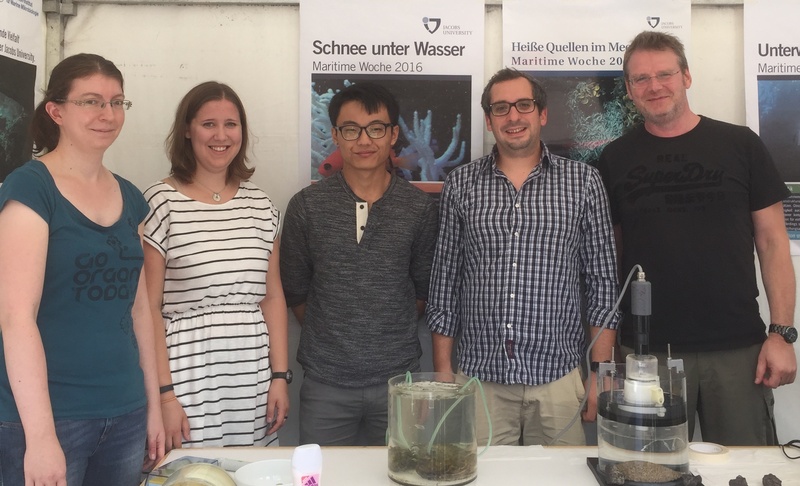 As done in the last two years, the Ullrich research team (here Veronika Will, Candice Thorstenson, Song Wang, and Benjamin Gillard) presented different aspects of marine research of Jacobs University at the ‘Maritime Woche’ taking place at the Schlachte in Bremen downtown. A total of 60,000 visitors came to the ‘Martime Woche’ making this citizens science event a great success. 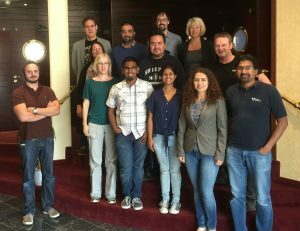 The 2016 Annual meeting of the COMETA project took place at Fährhaus Farge. The research team headed by Profs. Kuhnert, Hütt, Nevoigt, and Ullrich presented and discussed their current results and planned the upcoming year’s work. The first publications on cocoa metabolomics will be published soon. After a sucessful set-up of the workin genvironments, PhD student Candice Thorstenson and Prof. Matthias Ullrich visited the IFREMER in La Tremblade (France) to meet their ENVICOPAS consortium partners from AWI, ICBM, IFREMER, and CNRS SB-Roscoff. This first project meeting of ENVICOPAS helped to straightline research in the different laboratories. The next steps of the research work with pathogenic Vibrio species in sea food products were defined. 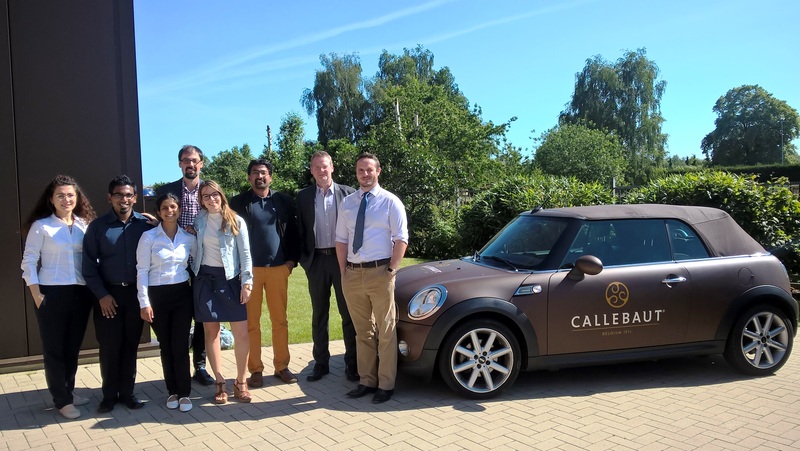 In Wietze, Belgium, at the location of the world-leading chocolate manufacturer, Barry Callebaut, a full-day information seminar took place. At the headquarter of Barry Callebaut, the COMETA team presented the current work and results, discussed future plans, and answered numerous questions from the factory’s specialists. A film crew used the research laboratory of Prof. Matthias Ullrich for interviews and documentation of labwork in the framework of Jacobs University’s Health focus on bioactive substances. The corresponding movie clip can be enjoyed here. Prof. Dr. Matthias Ullrich joined the Workshop ” Deep Sea Mining” at MARUM, Center for Marine Environmental Sciences to continue the ongoing cooperation with Dr. Morten Iversen. PhD student, Benjamin Gillards, presented his current work and scientific plans to a broad audience of interested researchers. 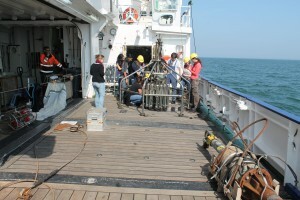 On board of the research vessel MS Heincke provided by AWI Bremerhaven, Profs. Vikram Unitam, Jelle Bjima, and Matthias Ullrich taught a group of undergraduate geoscience and environmental science students different techniques on how to sample water and sediment on high sea. For this, the MS Heincke was cruising on the North Sea for a couple of days. ENVICOPAS means Impact of ENVironmental changes on Coastal Pathogen Systems. It joins research from Jacobs University (Prof. Dr. Matthias Ullrich with his group), AWI, ICBM with IFREMER and CNRS SB-Roscoff to investigate how abiotic drivers of environmental change impact the distribution of pathogens in the marine environment. 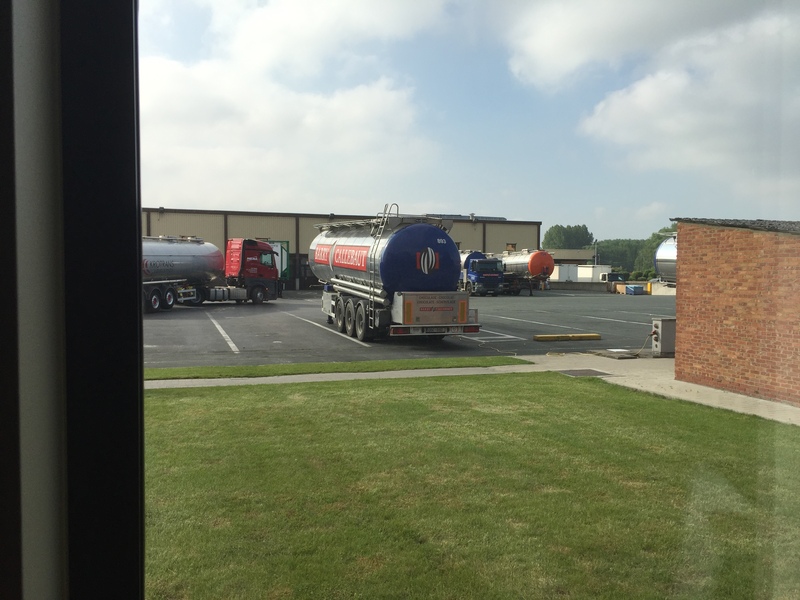 The tree-year project is funded by DFG and ANR (France) and will mainly deal with pathogenic Vibrio species and their disribution in the North Sea and seefood products. For this purpose Prof. Matthias Ullrich opened his S2 Laboratory for the research work with the pathogenic Vibrio species in Spring 2016. Barry Callebaut, the World’s largest cocoa producer has launched a new website describing the COMETA project conducted at Jacobs University Bremen. Together with his collegeauge Prof. Dr. Frank-Oliver Glöckner Porf. 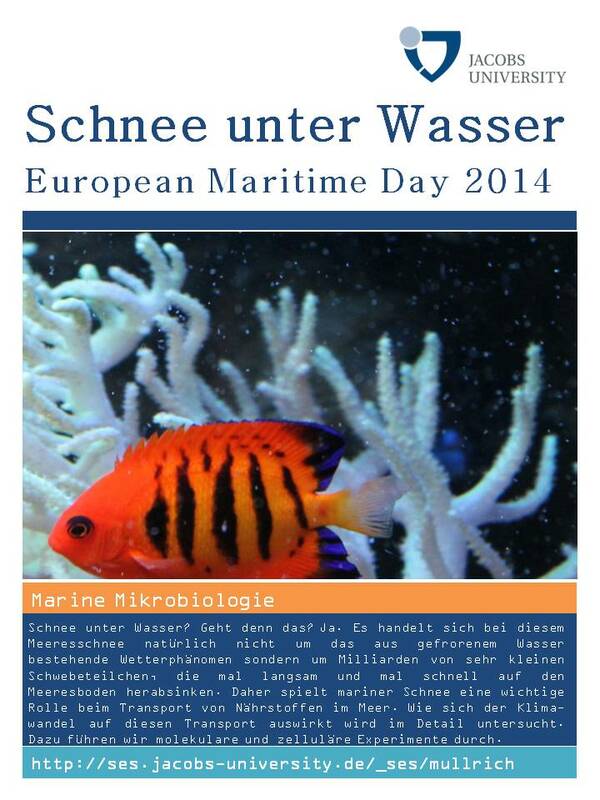 Dr. Ullrich presented the marine research work of Jacobs University during the Maritime Wochen in Bremen. Matthias Ullrich, Susanne Illenberger and Katja Laskowski from Jacobs University supported a novel high school student project of the Schulzentrum Rübekamp and its partnering Mumbai high school in India. 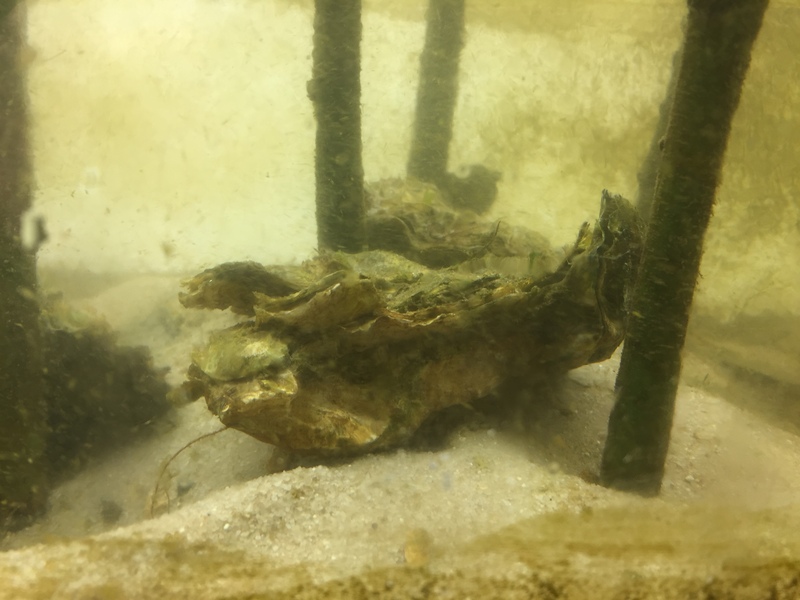 In seminars and experimental lab work the students conducted their own experiments on the role of microorganisms in the spatial distribution of microplastics in various marine ecosystems. 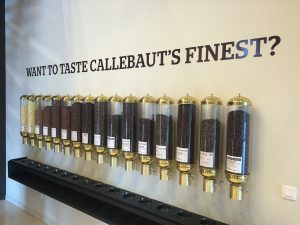 Jacobs Foundation celebrates 25 year anniversary and the world’s longest praline (25 meters)! Visitors to the Family event in Zurich on the weekend were also given an introduction to the many facets of the foundation’s educational work. 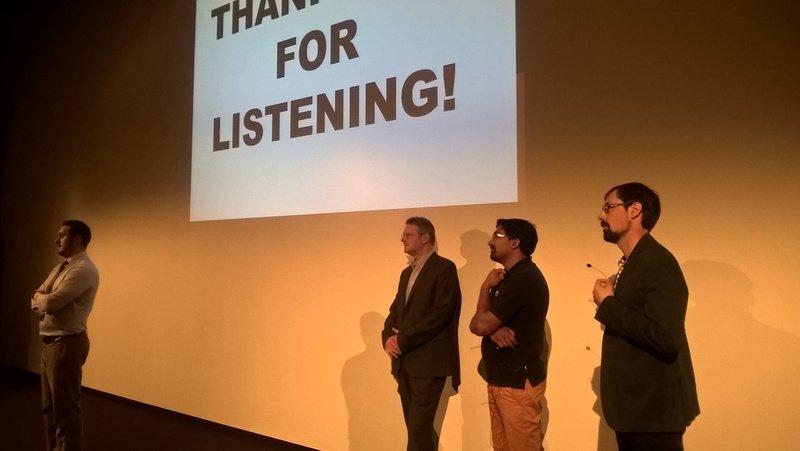 Professors Matthias Ullrich, Laurenz Thomsen, and Vikram Unnithan were on hand to share information on our research. High school students from Bremen and India have now started a collaborative project with the aim to give children in poor districts of Mumbai the possibility to get a vaccination. Matthias Ullrich, Susanne Illenberger andKatja Laskowski from Jacobs University / MOLIFE Center supported this project and prepared the students for their work in India. 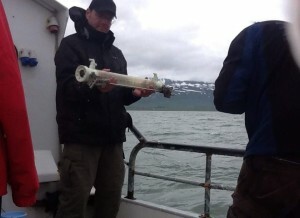 With a crew of undergraduate students Prof. Ullrich sampled six stations in the fjord water of Northern Iceland for marine microbes in the framework of the Ocean Sampling Day 2014 organized by Prof. Frank Oliver Glöckner and his OSD team at the MPI Bremen and the Helgoland Research Station of the AWI. 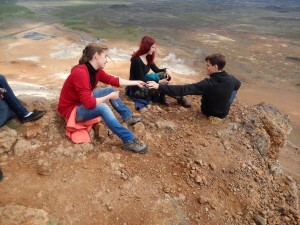 The students and professor conducted the Artic Microbiology Field Trip at the University of Akureyri / Iceland. European Maritime Day 2014 in Bremen. On May 18, the public is cordially invited to visit the EMD Citizens’ Fair at the Weser Promenade Schlachte. The fair features a research mile. Matthias Ullrich next to three other faculty members of Jacobs University will be representing Jacobs Univeristy with holding a talk in marine microbiology. Jacobs University is now expanding its existing cooperation with the world’s leading chocolate and cocoa producer Barry Callebaut. 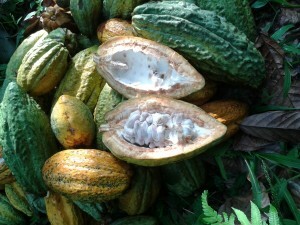 The aim of the six-year projectCOMETA* is to precisely analyze chemical components of the cocoa bean. Barry Callebaut is financing the project with a total of 3.7 million Euro. COMETA is coordinated by Matthias Ullrich, Professor of Microbiology, Nikolai Kuhnert, Professor of Chemistry, and Dr. ir. Gino Vrancken, Program Manager Cocoa Science at Barry Callebaut. 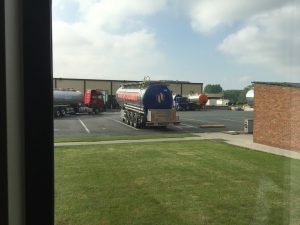 In addition, Marc-Thorsten Hütt, Professor of Computational Systems Biology, and Elke Nevoigt, Professor of Biotechnology, are also working on the research project. The healing power of Rhododendron. Jacobs University researchers are focusing on the search for a new plant-based antibiotic. The local press showed interest in this topic. The research team, consisting of Professrors Klaudia Brix, Nikolai Kuhnert and Matthias Ullrich from MOLIFE Center together with Dirk Albach from the University of Oldenburg work in a transdisciplinary manner. 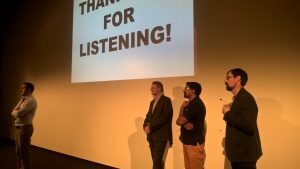 Jacobs University continues its lecture series »Fenster zur Wissenschaft« at SPICARIUM in Bremen North. Jacobs University researchers talk about current and fascinating topics from the world of maritime science followed by a discussion. A special exhibition including an interactive presentation compliments each presentation. Matthias Ullrich, Professor of Microbiology, and Andrea Koschinsky, Professor of Geoscience, had successfully applied for funding of this field course together with their colleagues from Britain, Belgium and Iceland. Continuation in later years is anticipated. The European Union with its Lifelong Learning Programme and the ERASMUS Intensive Programme will fund a two-week field trip for 10 Jacobs undergraduate students to the north of Iceland in summer 2014. Students from Mumbai recently spent some time at Schulzentrum Rübekamp in Bremen-Nord. As part of their stay they also paid a visit to the Jacobs campus for a short introduction on life at Jacobs University. Matthias Ullrich, Professor of Microbiology, showed the students around campus and the laboratories. As part of its five-day Mahagonny-Festival (25. – 30. June 2013) the Bremer Theater is hosting an Expertenbasar (Bazaar of Experts). Fifty experts from Bremen spanning all walks of life will give answers to what the future holds from their particular point of expertise. 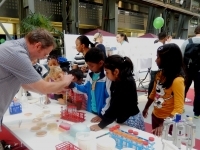 Jacobs University MOLIFE Center members offering their expertise at the bazaar are: Sebastian Springer, Professor of Biochemistry and Cell Biology Matthias Ullrich, Professor of Microbiology. Bremen’s largest newspaper Weser Kurier has been running its popular science series »Montagsexperten« (»Monday’s Experts«). The weekly feature sees scientists from universities in Bremen, including Jacobs University, use their expertise to answer questions arising from day-to-day life. Prof. Matthias Ullrich described the center-based research project RHO-PRO as a cooperation of the laboratories of Prof. Klaudia Brix, Prof. Dr. Matthias Ullrich, and Prof. Dr. Nikolai Kuhnert. RHO-PRO aims at the identification and characterization of bio-active secondary metabolites from Rhododendron plants. 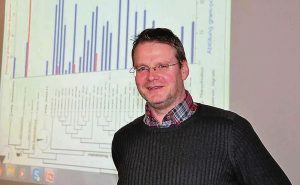 Cell biologists, natural chemistry researchers, and molecular microbiologists cooperate on this with the laboratory of the evolutionary geneticist, Prof. Dr. Dirk Albach (University of Oldenburg), and the Stiftung Bremer Rhododendron Park. The Annual Conference of the Association for General and Applied Microbiology (VAAM) in collaboration with the Royal Netherlands Society for Microbiology (KNVM) took place from 10-13 March 2013 in Bremen. The conference was organized by all relevant institutions here in Bremen (Benz, Weingart, Muskhelishvili, and Ullrich) contributing from the MOLIFE Center /Jacobs University Bremen). Presentation of Jacobs students at the Rhododendron Park Bremen on May 19/20, 2012 during the 75th Anniversary of the Park. On May 19/20, 2012, the Bremen Rhododendronpark celebrated its 75th anniversary. The Director of this Botanical Garden, Dr. Hartwig Schepker invited Jacobs students to represent their home countries (countries, in which Rhododendron species are indigenous). 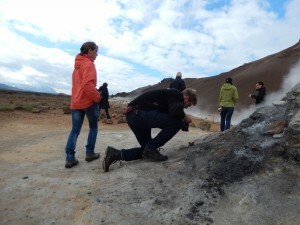 Matthias Ullrich, member of the MOLIFE Research Center gave an interview in the german National Geografic about the center-based research project RHO-PRO. The project is as a cooperation of the laboratories of Prof. Klaudia Brix, Prof. Dr. Matthias Ullrich, and Prof. Dr. Nikolai Kuhnert. RHO-PRO aims at the identification and characterization of bio-active secondary metabolites from Rhododendron plants. Cell biologists, natural chemistry researchers, and molecular microbiologists cooperate on this with the laboratory of the evolutionary geneticist, Prof. Dr. Dirk Albach (University of Oldenburg), and the Stiftung Bremer Rhododendron Park. The MOLIFE Center organized Jacobs University’s first ever Summer Campus for high school students in Life Sciences. More than 35 national and international high school students (10-12th grade) were hosted for two weeks, conducted daily lab rotations in six different laboratories of the MOLIFE Center, and enjoyed the Jacobs University campus with a rich social and scientific programs co-organized by the Admissions Department (June 17th to June 28th, 2012). Thirty-five high school students from the US, Germany, Macedonia, Greece, Romania, Norway, Bulgaria, Turkey, Switzerland, Belgium, France and Poland have signed up for Jacobs University Summer Campus Germany, running from July 17 to 28, offers an introduction to university studies in life sciences and medical research fields. Copyright © 2019 Prof. Dr. Matthias Ullrich. Powered by WordPress. Theme: Accelerate by ThemeGrill.